We will staff the research project judging venue with a local coach, a volunteer Dartmouth College student and someone with FIRST experience. In addition to the FLL team being judged, we will also have another FLL team observe the judging process and ask a couple of questions themselves. The adult judges will use the usual FLL judging procedures to score the team. The FLL observing team will provide the other team with a one or two sentence subjective evaluation on the most impressive aspects of their presentation. How much time for each interview, between each interview and for pre-tournament preparation. How many interviews should a judge conduct between breaks. How will the judging teams communicate with the venue manager and others in the tournament to keep them advised of progress and needs. 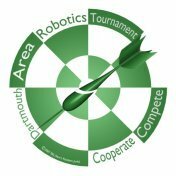 Needed: Judging Rubric, FLL type report forms, Observer team report forms.